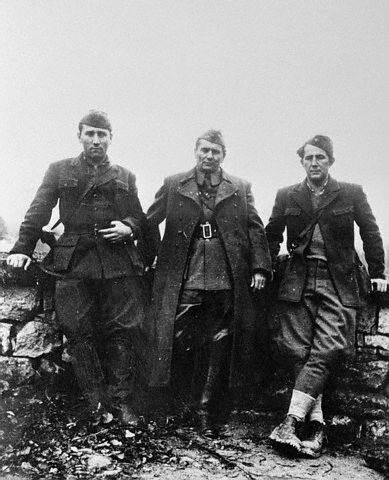 The book details relations between the Yugoslav Partisans and later government and the Soviet Union during the Second World War until the eventual rift between the two states in summer 1948. On account of his position and his command of Russian, Đilas was chosen for a number of visits to the Soviet government, in 1943, 1944 and 1948. Đilas remains quite frank about his own limitations in perception, particularly in his first trip to the Soviet Union during the height of the war. He openly describes his naïve views regarding the west, the perfidious nature of British Intelligence, and his reverence of the Soviet lands as both leaders in the Communist world, and as the spiritual home of pan-Slavism. Nevertheless, Đilas makes numerous important observations, doubtless with the benefit of many years’ hindsight, from his early meetings with Stalin, and the men who surrounded him. 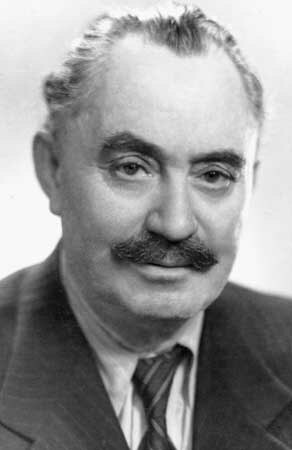 He notes the description of the morale boost Stalin’s continued presence in Moscow made during the Battle of Moscow in late 1941, in a meeting with Georgi Dimitrov (pictured), the Bulgarian Communist leader and head of the Comintern until its disbandment in mid-1943. Đilas also pointed out his surprise at the influence of Russian Orthodoxy, no less than pan-Slavism and Russian nationalism, as a motivating factor in the pursuit of the war against Nazi Germany. Of the figure of Stalin, Đilas illustrates his early reverence for this figure of genius in the Communist path, but confirms many of the facts revealed elsewhere about the pursuit of Soviet policy and the workings of the upper echelons of the Soviet hierarchy. He remarks on Stalin’s “Kremlin complexion” (of pale skin and rosy cheeks), the copious drinking habits of many of the key figures in the Politburo, 1Vyacheslav Molotov was one to ‘drink hard’, whilst Lavrentiy Beria was ‘practically a drunkard.’ the excessive meals undertaken from late evening into the small hours (and the subsequent shift in time of the bureaucracy’s operations to account for the late rising of many department heads), and the associated requirement of a weekly day’s разгружение or ‘unloading’ – a governmental detox programme if ever there was one. Also interesting was the mention of Stalin’s penchant for watching films, a detail that Nikita Khrushchev struck upon in his memoirs. 2Published in English as Khrushchev Remembers. Đilas makes clear recognition of the influence of imperialism in Stalin’s deliberations and in Soviet policy as a whole. His private recognition of the action of British socialists within the British democratic framework lay in contrast to the public differences, which Đilas maintains came as a result of their differences in foreign policy. Stalin apparently expounded his views in terms of the unity of Slavs as being vital to success, and predicted that Germany would rise within a dozen years on account of her educated and industrious proletariat. Perhaps more intriguing is Đilas’ report that Stalin predicted the ‘next war’ to occur within 15-20 years, and that at a time when the current war was still raging. This dispute over Yugoslav-Albanian relations was to be solved through the integration of these two states into the Soviet dominated east European framework. At a meeting with the key figures of both the Yugoslav and Bulgarian Communist parties, Stalin and his associates openly derided the Bulgarian attempts at creating a customs union with Rumania without prior Soviet consultation. Soviet policy rather demanded the union of Bulgaria with Yugoslavia (and subsequently the union of Albania with this new federation), no doubt on the basis that the Bulgarian Communists relied on Soviet support, still being under the Red Army’s occupation. Dimitrov himself had been prevented from returning to Bulgaria immediately after the war, no doubt on account of his position and potential independence of Soviet aims. These final meetings with Stalin strike as the most revealing into the degeneration of the Soviet state, and the first seeds of the gerontocracy which plagued the later Soviet years. Pointing to the vitality of Stalin’s mind during the war, Đilas remarks on his creeping senility, his increasingly gluttonous habits, his reliance on older memories and anecdotes, a more banal sense of humour, and the attitude of those who paid court to his actions. Stalin’s position was as much self-created as it was required by those very forces who surrounded him, and the rot in this symbiotic relationship strikes out particularly in the later section of Đilas’ memoirs. Đilas provides some tidbits which unfortunately aren’t fully expanded upon, such as the appearance of open anti-Semitism in the Soviet hierarchy (Stalin boasting that none of its Central Committee members were Jewish), the mysticism and religiosity surrounding the Lenin Mausoleum, returned from its wartime hiding place in the Russian interior, and the now famous account of Stalin maintaining that Benelux involved only Belgium and Luxembourg and was no real example of a working customs union, no one in his presence willing to correct him. One should also point out Đilas’ impressions of Khrushchev on his meeting with him in 1945. Đilas noted the marked Russification of life in Kiev, 5For more on this subject, see Ivan Dzyuba, Internationalism or Russification?, 1974. despite the relative leniency of regional policy in the late war years: at this time, Ukrainian party officials sought the establishment of separate diplomatic relations with the various people’s democracies. Khrushchev himself certainly straddled the line of Russo-Ukrainian. Khrushchev impressed Đilas as being of limited classical education, but more importantly self-made and experienced beyond the normal limits of the bureaucracy, “a man of the popular masses,” well acquainted with the actualities of the Soviet system (e.g. experiences and limitations on the Soviet collective farms), and interested in modifying and reforming from within said system. Of course as Đilas was able to point out, these impressions came from a Khrushchev of a different era to the one who assumed control of the Soviet Union in Stalin’s wake. Perhaps you think that just because we are the allies of the English we have forgotten who they are and who Churchill is. There’s nothing they like better than to trick their allies. During the First World War they constantly tricked the Russians and the French. And Churchill? Churchill is the kind of man who will pick your pocket for a kopeck if you don’t watch him. Yes, pick your pocket of a kopeck! By God, pick your pocket of a kopeck! And Roosevelt? Roosevelt is not like that. He dips in his hand only for bigger coins. But Churchill? Churchill – will do it for a kopeck. Nevertheless his respect was well earned; during a trip to Moscow, Churchill apparently remarked that he should be awarded for his services to the Red Army, since it was his call for intervention at Archangel that had trained them so well. Conversations with Stalin offers an interesting insight into the inner workings of the Soviet system, and their relations with the eastern block in the immediate aftermath of the war, in particular of course with Yugoslavia. Đilas marks the start of the deterioration of Soviet-Yugoslav relations with his inquiries into the actions of the Red Army in Belgrade, though points out earlier examples of differences between the two existed even from 1943, quoting Tito as having said “our first duty is to look after our own army and our own people” over the issue of not informing the Soviet Union of their parley with the Germans regarding the treatment of POWs. His style is readable and littered with interesting asides which unfortunately are all too often left unexplored, and one certainly gets the impression that the amount of retouching with the benefit of hindsight is at least more limited than might elsewhere be found. Despite his recognition of Stalin’s growing senility and the blatant imperialism of Soviet policy, Đilas nevertheless continued to respect Stalin, for his abilities, his accomplishments and his drive, despite the horrors that lay in his wake. Đilas describes him as a man who would destroy nine tenths of humanity in order to make the remaining tenth ‘happy’. But a man who was as much driven by his own demands as by the men around him, to drag the Soviet Union into the future. 2. ↑ Published in English as Khrushchev Remembers. 3. ↑ On the latter point, Đilas remarks that it was Stalin himself who came up with the name for the Cominform’s organ “For a Lasting Peace – For a People’s Democracy” on the basis that it would be quoted as such in the Western press. 4. ↑ Đilas wrote that Stalin described Hoxha as a petty bourgeois, inclined towards nationalism. 5. ↑ For more on this subject, see Ivan Dzyuba, Internationalism or Russification?, 1974.